Einkorn Genetics | Jovial Foods, Inc. Einkorn Genetics | Jovial Foods, Inc.
Archeological findings show that humans in the Fertile Crescent gathered wild einkorn wheat during the Paleolithic Era. Approximately 12,000 years ago, these hunter-gathers discovered that they could plant einkorn seeds. Agriculture was born and humans settled into sedentary communities. While the genetics of einkorn wheat have never changed since these ancient times, other types of wheat were created by hybridization. Like einkorn, most plants are diploid, meaning they have two sets of 7 chromosomes from a male parent and one from a female parent. When other types of wheat were created, additional sets of chromosomes were added. Emmer wheat appeared roughly 2,000 years after einkorn by the natural hybridization of two wild grasses, resulting in a total of 28 chromosomes. 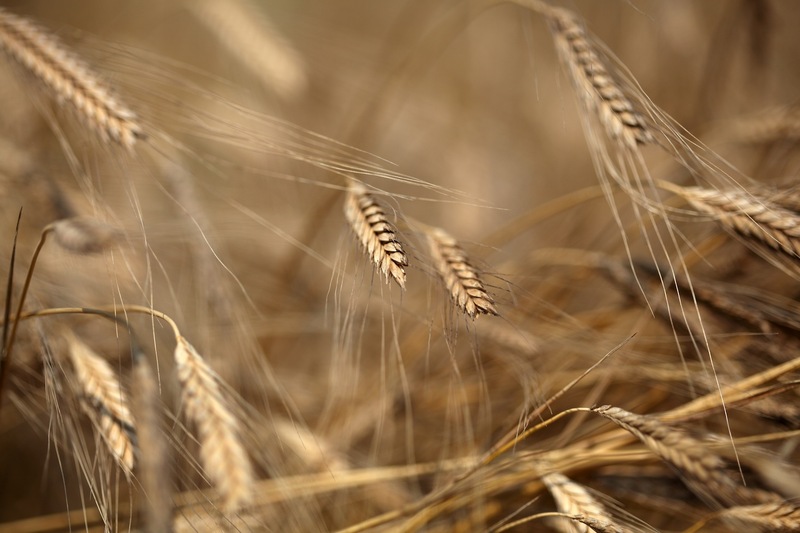 Kamut® and Durum Wheat are descendants of Emmer. Spelt was the first wheat hybridization between cultivated emmer and a wild grass, creating a species with 42 chromosomes. Common bread wheat descended from spelt. Modern plant breeding over the past century has been responsible for the most significant changes to wheat. Some of these changes are visible to the eye, others are noticed during the handling of the different flours, and some people can feel the difference in how each type of wheat is digested. These changes created a shorter plant, a stronger gluten and higher yields. Because einkorn has survived history as a nearly extinct grain, it was not of interest to plant breeders who focused on transforming ancestral varieties to feed the world’s growing population. Genetic modification (GMO) is a major source of debate because the process incorporates genes from other organisms into plants. As of now, wheat is not genetically modified anywhere in the world.